For a new sub-brand, the company made quite the entrance. The main reason behind that was the price to specifications ratio that the phone is offering. Oppo Realme 1 was launched last month. For a new sub-brand, the company made quite the entrance. The main reason behind that was the price to specifications ratio that the phone is offering. Now, the company has added to the variants by introducing a new 4GB RAM version of the phone. The new variant will go on its first sale in India today. The device is priced at Rs 10,990 and will feature 64GB of internal storage. The phone is exclusively available on Amazon India. Realme is also selling two other variants, one with 3GB RAM and 32GB storage that is priced at Rs 8,990 and another with 6GB RAM and 128GB storage at Rs 13,990. All three variants are available in Silver, Diamond Black and Solar Red colours. The company is selling the device with something called a diamond back which they claim is a strong departure from the bland design language that is prevalent with the competition. The Realme 1 sports a FullHD+ display panel that stretches across 6.0 inches diagonally. The company claimed an 85 per cent screen to body ratio. The device will be powered by MediaTek's Helio P60 which the company claims is the first smartphone powered by 12nm processor. Compared to the previous generation the chipset is claimed to be 50 per cent faster and 25 per cent more efficient. As the device is being built with youth in the mind, the device front camera is expected to be the USP of the device. Realme claims that the device will use AI Shot which to beautify selfies. The camera can recognize 296 facial spots to give customized results. The camera app also gets a Bokeh model. The phone has a 13megapixel single-lens rear camera and an 8-megapixel front facing snapper. 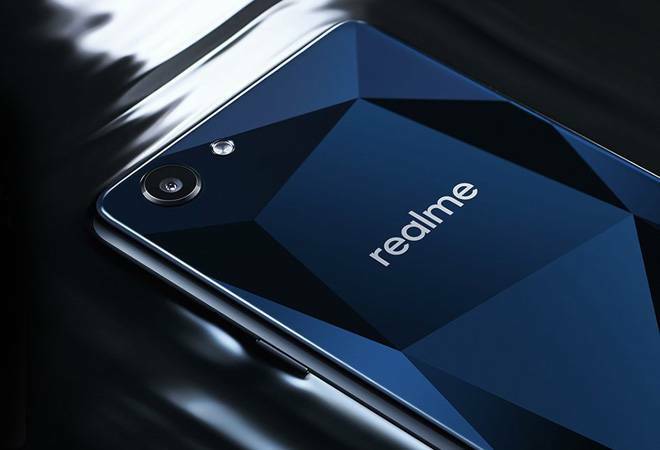 Realme 1 will come with Color OS 5.0 which is built over Android 8.1 out of the box. The device will also come with two SIM slots and an additional MicroSD card slot. The device is powered by 3,400mAh battery.